There is a long-standing truth in the world of organizations: Talent wins! But how do you attract the best people? What do they really want? 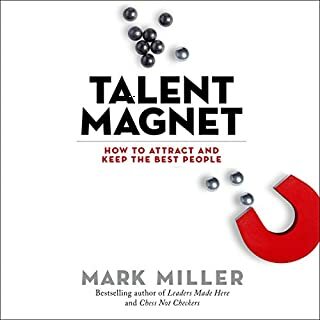 Based on his rigorous and extensive research, Mark Miller learned that top performers are looking for very different things than solid contributors. In Talent Magnet, Miller uses a clever and entertaining business fable to share these findings. He pulls back the curtain on what leaders can do to find and retain the very best people. In his latest business fable, top leadership author Mark Miller tells the story of newly appointed CEO Blake Brown, who takes over a company distressed by poor performance and low morale. Nothing Blake learned from his previous job seems to help him deal with the bigger, more complex problems he now faces. The game has changed. As his new mentor points out, Blake is playing a simple game of checkers when he should be playing chess. Chess Not Checkers can be an interesting metaphor for business strategy. 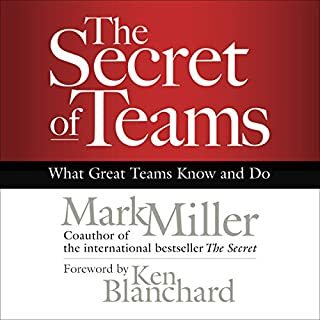 Using the same characters as those found in Miller’s other bestseller, The Secret and one new character, a retired Special Forces Commander, this work aims to help team leaders and team members create high-performing teams. The core message is that Talent, Skills, and Community are all essential to team success, and that team leaders and leaders supervising or training team leaders, need to develop all three in order to create such teams. At one time or another, everyone in a position of authority, whether in a multi-national corporation or a local volunteer group, wonders what the key to great leadership is. 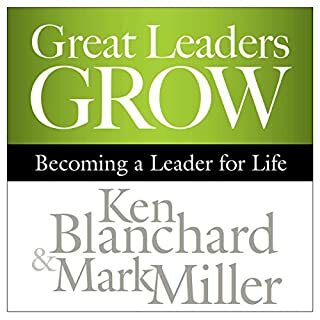 Ken Blanchard and Mark Miller explore that important question in this revealing business fable. They uncover the secret that great leaders already know and detail what you need to do to truly inspire and motivate others. Positive mentoring relationships can change the way we lead and help us succeed. In One Minute Mentoring, legendary management guru Ken Blanchard and Claire Diaz-Ortiz, a former Twitter executive and early employee, combine their knowledge to provide a systematic approach to intergenerational mentoring, giving listeners great insight into the power and influence of mentoring and encouraging them to pursue their own mentoring relationships. The most important attribute high-performing organizations have in common is that they are well led. Every organization dreams of having enough leaders. Yet too many organizations take a haphazard or inconsistent approach to leadership development. The result is a dearth of leaders and a failure to leverage the full capacity of the enterprise. 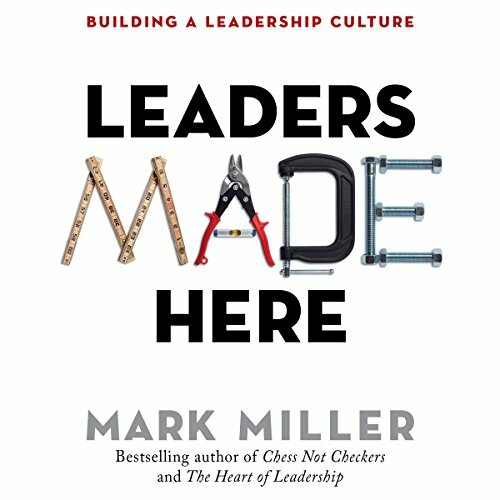 Leadership guru and Chick-fil-A executive Mark Miller describes how any organization can create a culture in which leaders are routinely and systematically developed, resulting in a surplus of leaders. Miller details how to nurture leaders throughout the organization, from the front lines to the executive ranks. He provides a game plan for organizations to create a deep leadership bench. 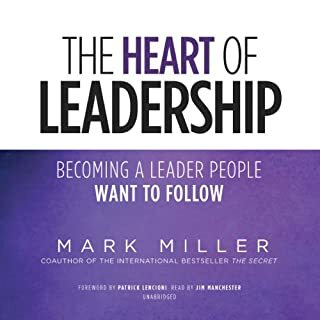 To help bring the ideas to life, Miller uses the story of Charles, a new executive, as he and his team discover best practices from around the world to ensure a continuous supply of capable leaders. Charles and his team then translate their findings into a practical plan that any organization can use to create a leadership culture that will assure a sustainable competitive advantage and long-term success. 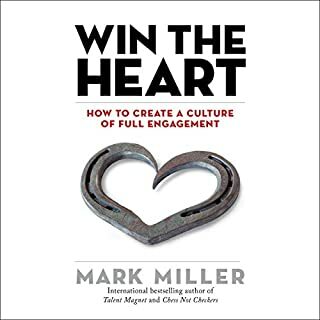 Great book on leadership, culture and so much more. More companies should listen in and take note. This book is succinct but perfect! I walked away better understanding how to implement a leadership culture within organizations! Thank you! I got about an hour through the audio book and although the story was relevant I couldn't get past listening to all the changes in voices they were awful sounding character voices. Yet again Mark Miller has great insights on leadership! 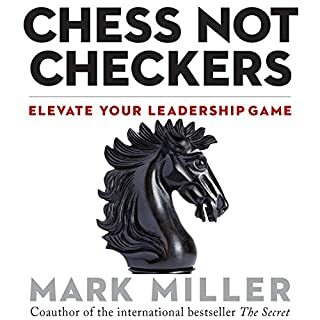 These book adds to Mark "Heart of Leadership" and "Chess not Checkers". Thanks for putting into words several of my hearts desires for my organization. This is a must read for anyone on leadership. I’m weary of another leadership parable, but the concepts for building a leadership culture are worth it. Concepts are concise and easy to understand and flexible to adapt to your organization’s needs. In fact, it gives a step by step plan to get the foundation going. The narration is awful. The reader should NOT have used different character voices which bordered on ridiculous. If the concepts weren’t so good, I would have returned this one. This book is "Nancy Drew and the Hardy Boys develop a leadership bench" story style.